Werner Herzog's portrayal of Klaus Kinski (top still: Herzog's film Woyzeck) in his character study My Best Fiend (1999) is funny and horrifying. 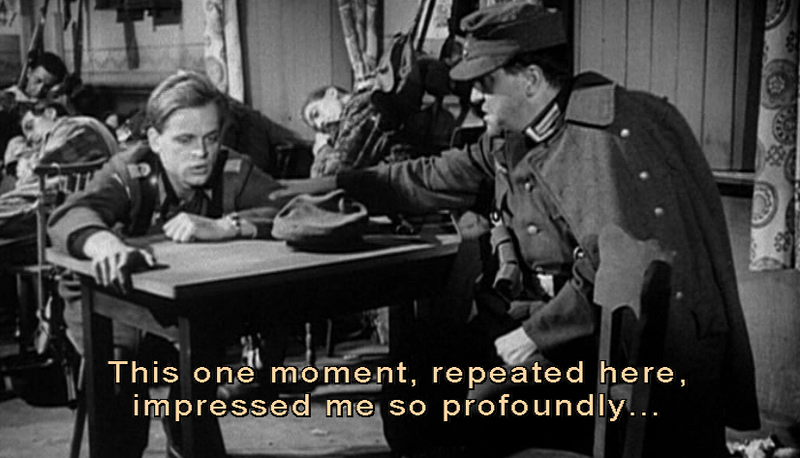 Kinski comes across as a madman, but there must have been something behind his antagonistic behavior. 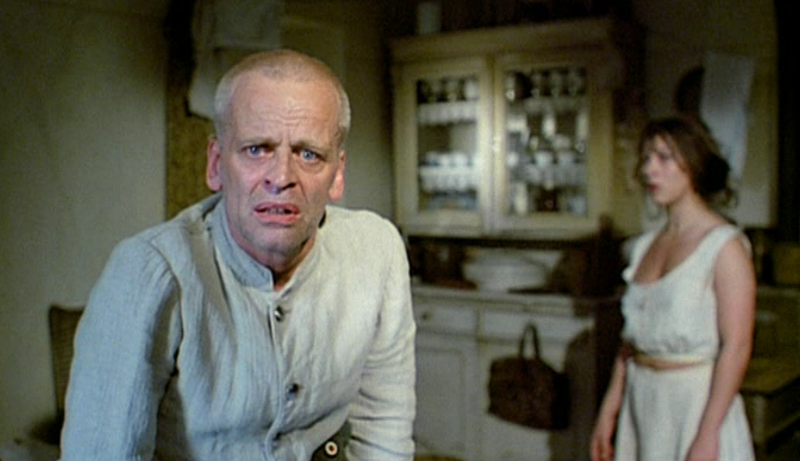 Indeed, for all his dysfunction, Kinski made so many films (second still: at left), including five with Herzog: Aguirre, Woyzeck, Nosferatu, Fitzcarraldo, and Cobra Verde. Herzog relishes the chance to tell his tales about his star, who, having died in 1991, can't retaliate. 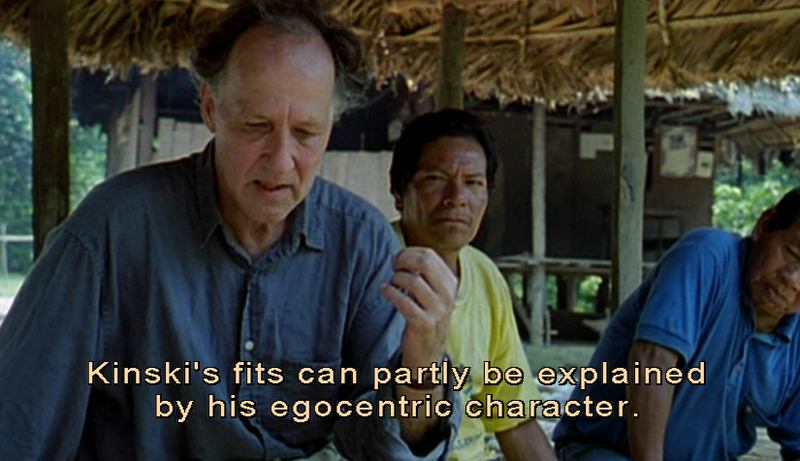 Footage from Les Blank's documentary on the making of Fitzcarraldo, Burden of Dreams, corroborates Herzog's creepiest rants.